Thanks to £15,000 funding from the Department for Transport (DfT) we are extending our Bikeability Recycled scheme and also offering two new forms of Bikeability cycle safety training ‘Learn to ride’ and ‘Fix’. In January, South Gloucestershire’s Road Safety team received funding from the DfT to implement a pilot scheme called Bikeability Recycled, which saw used and unwanted bikes refurbished and made roadworthy, before being redistributed to people in the community. The scheme proved very popular, with 50 bicycles recycled over three months. The road safety team have now received an additional £15,000 funding which will enable Bikeability Recycled to run until the end of August, and the team are now applying for further funding to continue the scheme over the next four years. Planning, Transport and Strategic Environment lead member Cllr Colin Hunt said: “We’re delighted to receive this additional funding which enables us to continue our bicycle recycling scheme as well as offering new forms of safety training. By refurbishing and redistributing these bikes to local school pupils we are hoping that more people take part in our cycle training. Bikeability Recycled sees the road safety team collecting used and unwanted bikes from local schools and with the support of SUEZ, the council’s waste and recycling contractor, from Sort It recycling centres. Qualified bike mechanics within the council’s cycle training team then refurbish and make the bikes roadworthy, before they are redistributed through schools to people in the community without access to one. By providing families with better access to bikes, it is hoped more children will take part in Bikeability training and make cycling part of their life. 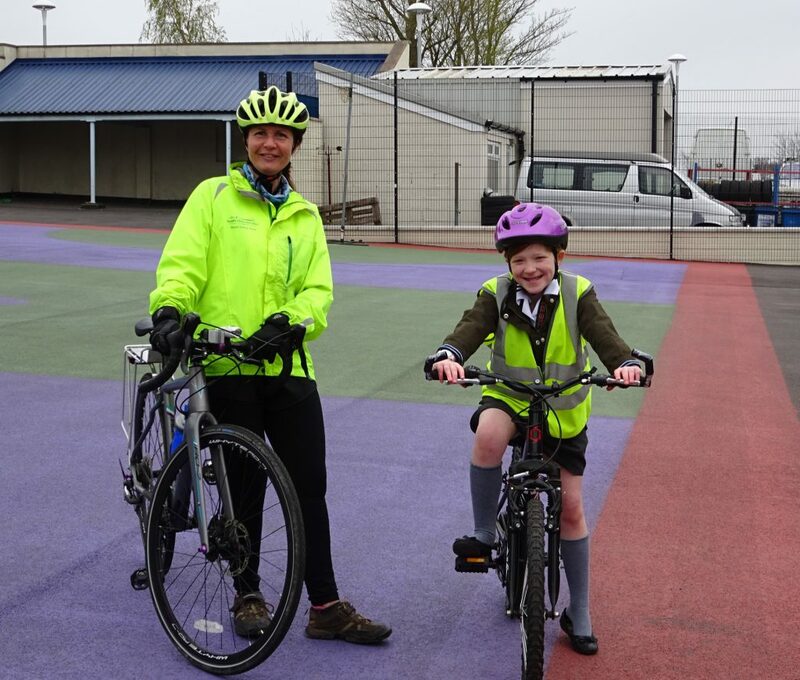 • Promotion – opportunity to try training outside of the Bikeability structure, such as at parents’ evenings where parents can ask trainers any questions directly.